Spinal Decompression Therapy is a proven, non-surgical method of treatment to relieve persistent aches and pains stemming from disc problems. Unlike the traditional traction of the past, spinal decompression can be directed at specific levels in the neck or back. 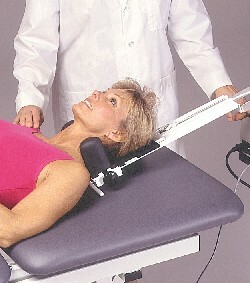 Because it is level-specific, more spinal decompression is achieved using less force overall. 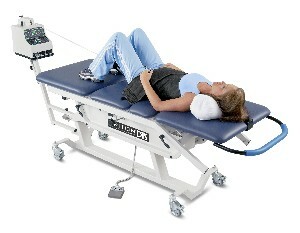 This makes the treatment very comfortable. In fact, many of our patients become so relaxed during their treatment that they doze off. It works by creating a negative pressure inside the disc, causing the bulging disc material to be retracted away from irritated nerve tissues. At the same time, the disc is re-hydrated and healed by the nutrients that are drawn inside during the process. If you would like to see some recent articles published in Nothshore Living Magazine, you can see them here.